Like most conservatories Mr T's gets excessively hot in the summer. 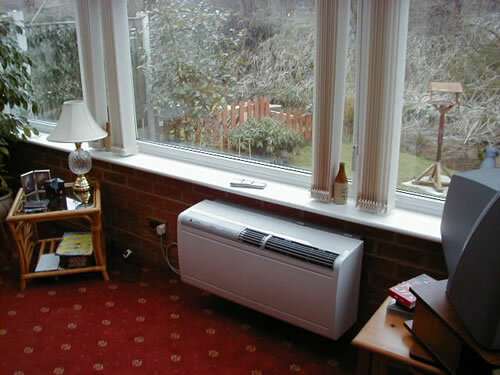 The requirement was for an economical solution for cooling and heating this moderately sized conservatory, without the use of an outdoor unit. A perfect application for a self contained unit. 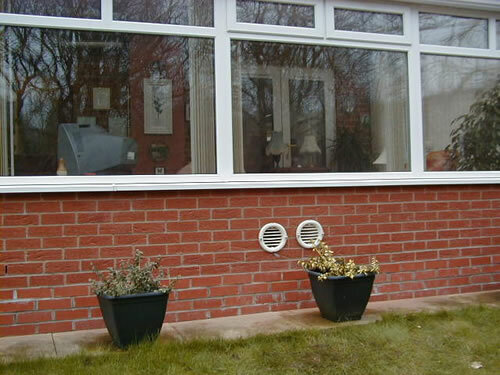 These two small portholes replace the need for an outdoor unit. 1 x 2.45kW Heat Pump Unit.